Ambarish is one of the few actors in the Kannada film industry who has a huge fan following in the state, especially in the Mandya District. He is also often called as Mandyada Gandu and Rebel Star. Malavallii Huche Gowda Amarnath, better known as Ambarish, was born on the 29th of May, 1952, in Doddarasinakere village of Mandya District. He is an established Kannada actor who has done quite a big number of films. He is also an active politician in the state of Karnataka. Tirumakudalu Chowdiah, the famous violinist, was Ambarish’s grandfather. Ambarish was the youngest among his brothers and spent much of his childhood under his famous maternal grandfather’s shadow. He was brought up in a joint family and he did his formal studies in Mysore. Ambarish’s venture into films was through the film Nagara Havu which was directed by the famous director, Puttanna Kunigal. He portrayed the role of a villain in the movie which went on to become a big success. Ambarish gave the screen test based on his good friend Sangram’s recommendation, which he passed, and there was no looking back after that. After the movie, Ambarish played the villain in a few movies. The movie where he played the role of a hero was called Amarnath and was directed by V.K.Ramesh, but the first film where he tasted success as a hero was Antha, which was a major hit, and was directed by Rajendra Singh Babu. This movie was remade in Hindu, Telugu and Tamil. Ambarish has acted in about 208 films, and his famous films are Paduvaralli Pandavaru, Ranganayaki, Chakravyuha, Shubha Mangala, Antha, Rani, Maharani, Garuda Dwaja, Ranaberi, Jai Karnataka, Guru Jagadguru, Vijaya Kankana, Toni, Rowdy MLA, Hrudaya Haaditu, and Olavina Udugore. He has received various awards like the State Award, the NTR award from the Andhra Pradesh Govt, and the Filmfare Lifetime Achievement Award. He also received Karnataka State Award for Best Actor for his role in Antha and also best supporting actor in the film Masanada Hoovu. He has acted with various actors like legendary Dr. Rajkumar. He ventured into politics and was elected to the Lok Sabha from the Mandya Constituency as a member of the Janata Dal. Later, he joined the Congress Party and contested elections in the Mandya District. He was the minister of the state for Information and Broadcasting in the year 2006. Ambarish married actress Sumalatha on December the 8th, 1991, and they have a son named Abhishek. Ambarish is still active in politics as well as in films. He also owns a resort called Amblee on the road that runs from Mysore to Bangalore. 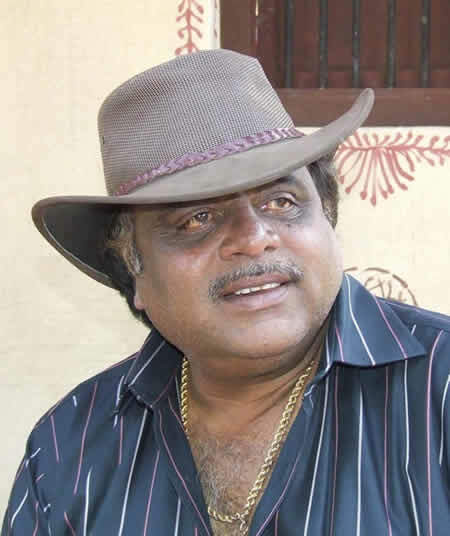 Acting in so many films, Ambarish has gained popularity in Karnataka and has quite a huge fan following even today.